Asphalt Paving in Lakeland – There are multiple methods of asphalt paving. One method is known as resurfacing or overlay. An asphalt overlay is completed by properly cleaning the existing asphalt, spraying a tack coat (for bonding the new asphalt to the old), and then utilizing a paving machine to spread the asphalt. The correct roller will achieve the proper density and compaction rating, which, if done properly, will provide a smooth, slick finish. Resurfacing is used when the existing asphalt has minor surface cracks or failures, but the stabilized sub grade and road base are not failing. Therefore, the existing asphalt will be stable enough to support the new pavement. At AAA Top Quality Asphalt, we are innovative paving contractors who possess only top-of-the-line equipment and have the capability to complete any asphalt paving project, no matter what the degree of difficulty may be. Contact one of our estimators today to schedule a site visit for your project. We will be more than willing to put our expertise to work for you. If you are looking for a stylish and low maintenance driveway for your Lakeland, FL home, look no further than an asphalt driveway. Blacktop driveways add beauty to a home. When a Lakeland, FL blacktop driveway is installed correctly and well-maintained, it can last for decades to come. If your Lakeland, FL asphalt driveway or parking lot is cracked, breaking apart, or is full of potholes, it’s time to call our professionals for asphalt resurfacing before it gets worse. When you hire our team for your blacktop paving needs in Lakeland, FL, you can rest assured that the job will be done correctly. 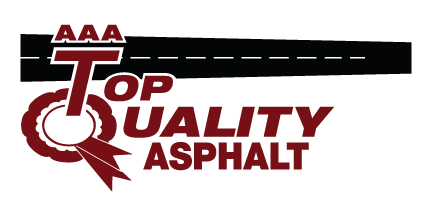 Here at AAA Top Quality Asphalt we provide quality Asphalt Paving for customers in and around Lakeland, Plant City, Brandon, Tampa, Winter Haven and Clermont, Florida!